There's two conversations here, one is how to talk to your young children about cannabis, the other is talking to your teenagers about cannabis. Each parenting style is unique, it's based on our own child's temperament, environment and our own personal beliefs on how they should be raised. What might work for my child, may not work for yours. It's important first and foremost to educate yourself about cannabis, this will help you have a conversation with your children, should the topic come up. Some of you may think it's inappropriate to discuss cannabis with your children, you may also think it's inappropriate to use cannabis in front of your children as well. However if you use cannabis, or drink alcohol, eventually your children will find out either by seeing you do it, or discovering the bottle of liquor or your cannabis accessories, or someone might tell them. Regardless, eventually you'll have to have a conversation about things adults do, that kids shouldn't do. Obviously, this has to be an age appropriate conversation; what you tell your 5 year old is going to be different than what you tell your 10 year old. My children are currently 4yrs old and 8 yrs old. My older child knows I have a website called Weed Mama, I explain to her that my job is to write articles to teach people about cannabis. We tell them that it's something adults do, like drink alcohol and coffee. I tell her that cannabis isn't good for kids but it's helpful for adults. I don't go into it more than that because honestly, they aren't very interested. Once your kids enter puberty, that age where their friends and being popular becomes more important than their parents, the conversation will have to change. I feel it's important to teach them with science, this approach helps to remove the mystery. Pull out the charts and fact sheets and give them a lesson on the endocannabinoid system, how it effects the brain and why it's not so great for developing brains. Some parents are medical users, they get their cannabis through a prescription, so the conversation they have is going to be different. These parents may choose to go more in depth about the medicinal benefits of cannabis and why cannabis is their medicine, like any other prescription mom and dad have, it's not safe for kids but mom or dad needs it to feel better. It's different for parents who are medicinal users as their children will see their cannabis consumption more, as they'll likely be using cannabis throughout the day. It's also going to help them deal with possible judgment from other parents. Think about it parents, when you were young, anything your parents told you NOT to do was the first thing you wanted to try, kids are curious. They want to see it for themselves, not just go on your word. However some kids don't like to break the rules, they want to do as their parents say, however they also don't want to look bad in front of their friends. Peer pressure may inevitably get them to use cannabis or alcohol so we need to teach them about safe consumption, what can happen if they do too much and what to do if this happens. It's important kids are given tools that can help them manage peer pressure. Saying things like "cannabis makes me tired, I'd just fall asleep" or if it's alcohol "I have an upset stomach, I don't want to get sick" and how to respond when their friends keep pressuring them. For example they can remind their friends with a simple "no thank you, I told you I won't have fun if I do" This gives them some things to say that will hopefully stop their friends from pressuring them. They should know they can text or call you anytime they need help navigating a situation where they're being peer pressured. Texting is a great way to be discreet, let's them feel like they can reach out to their parents and not feel embarrassed in front of their friends. If they do use cannabis or alcohol and find themselves in a bad situation, they should know they can call you for help. Many kids won't out of fear of getting in trouble, they need to know home is safe and their parents will help them if they make a mistake. 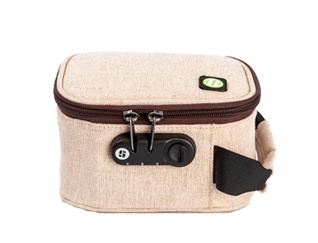 The EcoStash box is designed to be portable, great for travel and has a combination lock to keep out the kids plus odor control to be discreet. 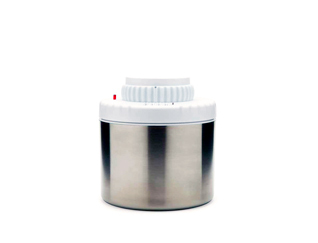 The Sneakguard has a 4-digit combo lock, odor control and humidity control to keep your stash fresh and free of mold. 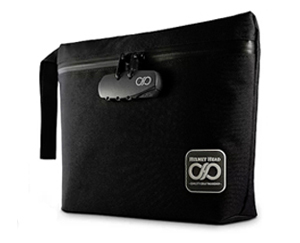 The Helmet Head stash bag is designed to be odor proof and has a 3-digit lock. Good for travelling or even hiding in the back of a drawer. 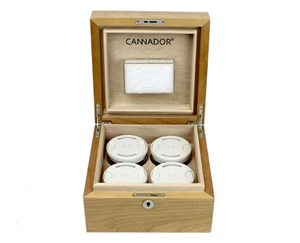 I have the Cannador box and love the design, it keeps your cannabis fresh with humidity control. The cannador locks with a key and comes in a variety of sizes and options. 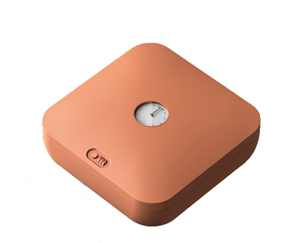 Botany (patent pending) is a beautifully designed cannabis storage box that isn't on the market yet but it's already winning design awards. It has a digital lock, 2 way humidity control and is portable.